The Loft Stage » Songs For A New World Opens Sept 30th! 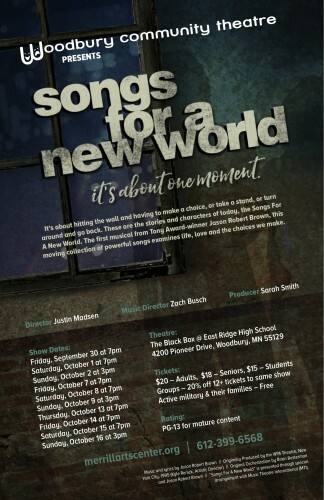 Songs For A New World Opens Sept 30th! Woodbury Community Theatre opens Songs For a New World in the Black Box this Friday. $5.00 student rush tickets for all performances fifteen minutes prior.